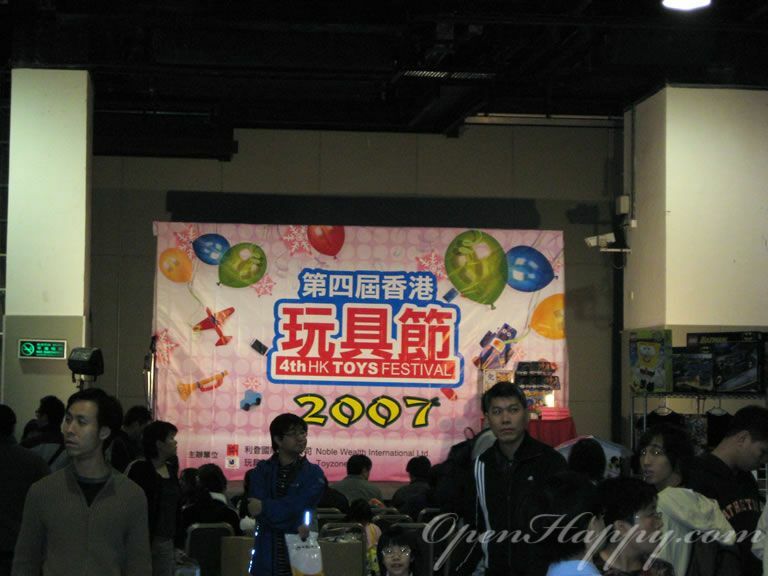 I went to this toy festival around xmas of 2007. 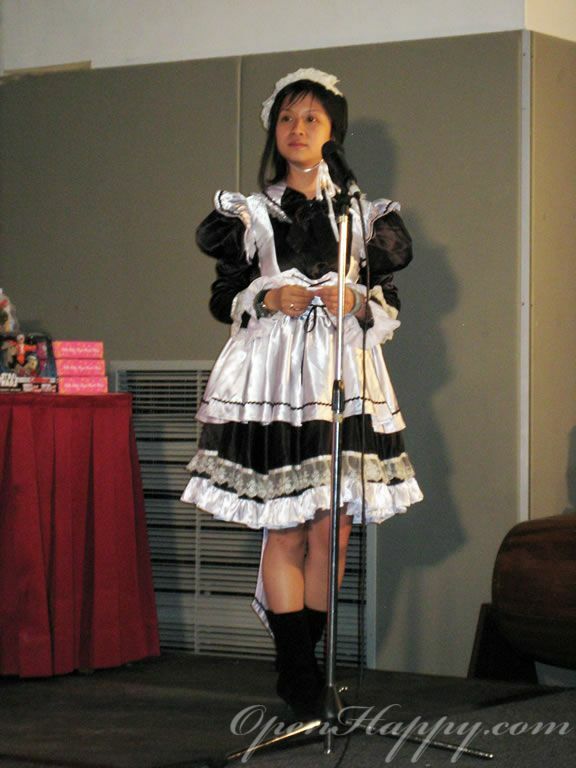 It is not really what I would expect. 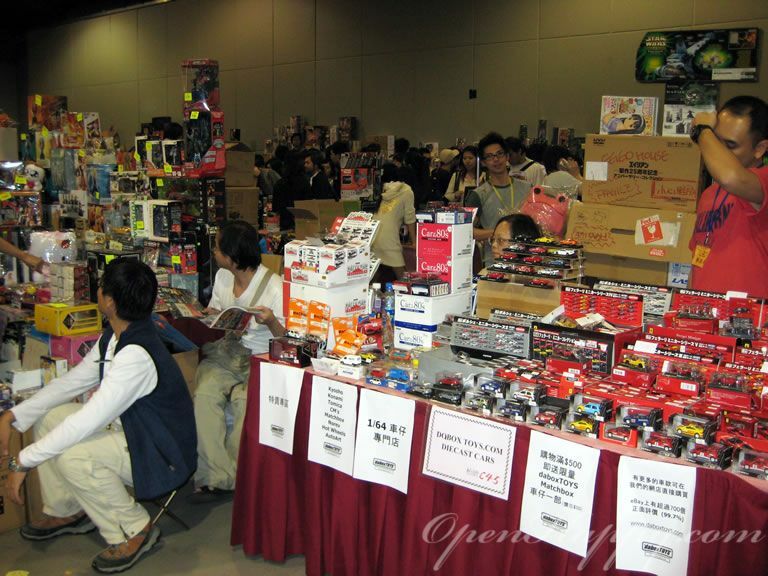 Normally in a toy festival, vendors come to the site and demo the latest trend of toys. 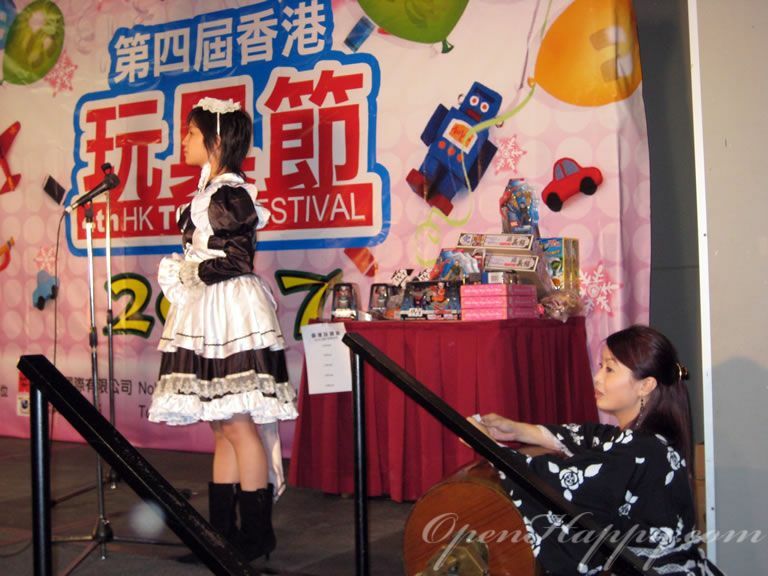 In this toy "festival", there is almost no toy makers at all. 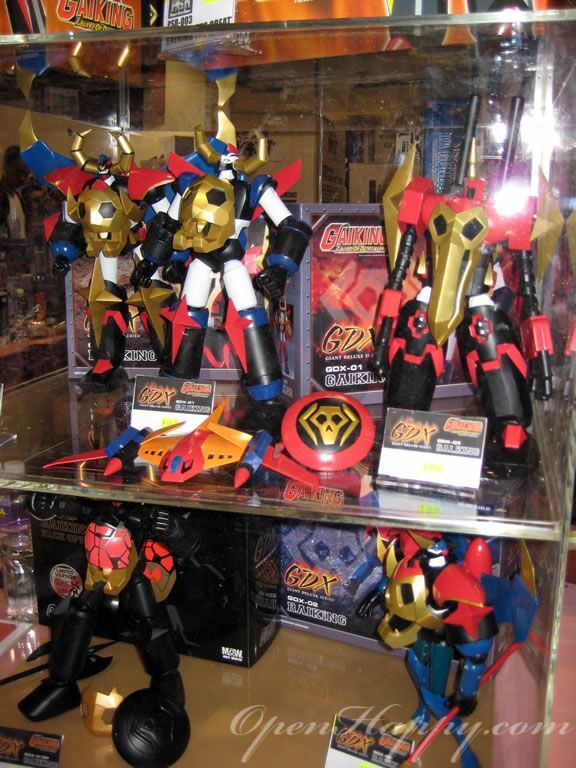 No Bandai, no matel, no tamiya, etc. 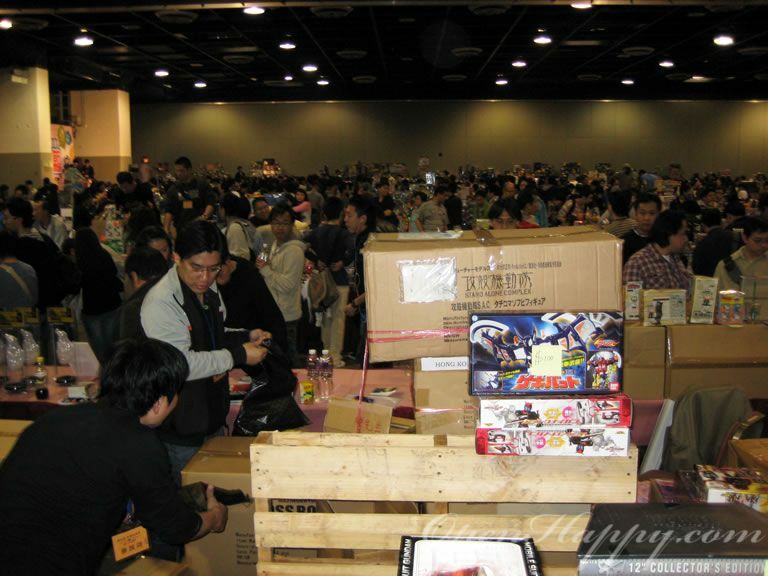 The 4th Hong Kong Toy Festival is basically a collection of otaku type toy sellers who packed up everything from their stores (in Hong Kong), lower the prices and come to this festival to look for customers for quick sales. 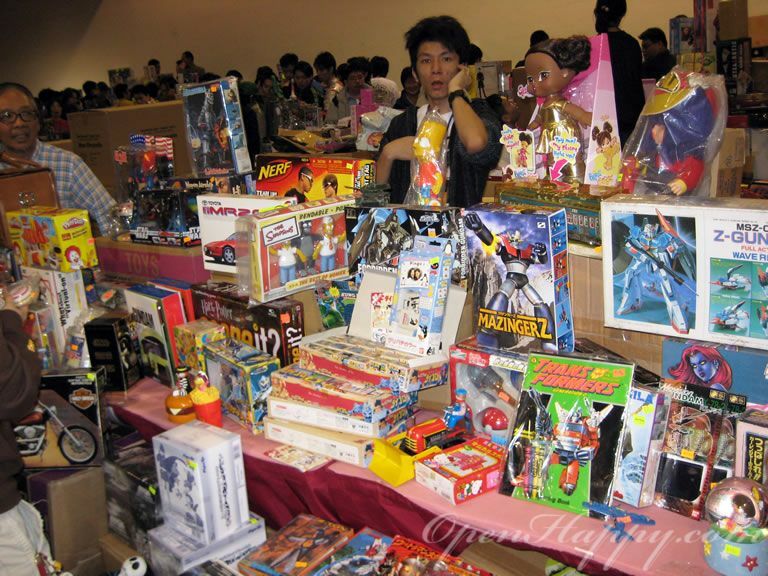 And if you are a toy collector/player, this toy festival is like .... chirstmas! Some of the deal are so good, you would believe it. 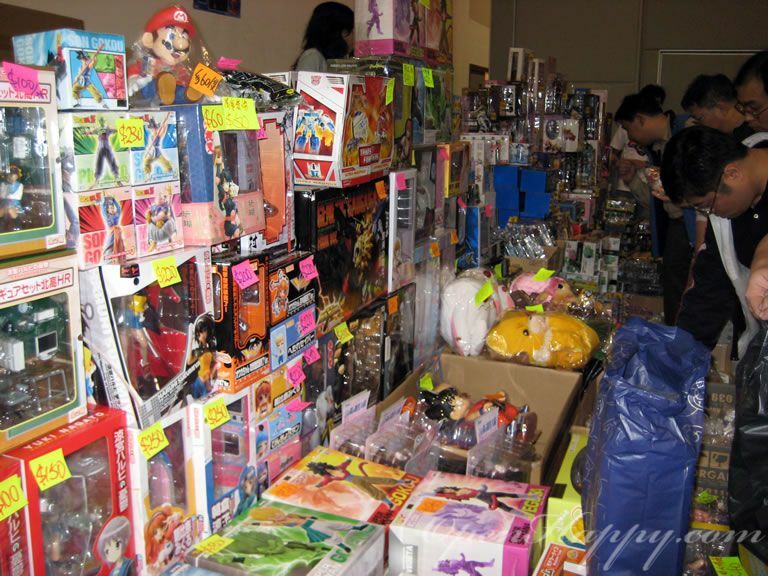 I picked up a whole bunch of toys in deep discounts. I have to travel from one end of the Hong Kong Island to the end of New Territory using MTR (the underground train), then take a bus to get there ... it take over a hour or so. 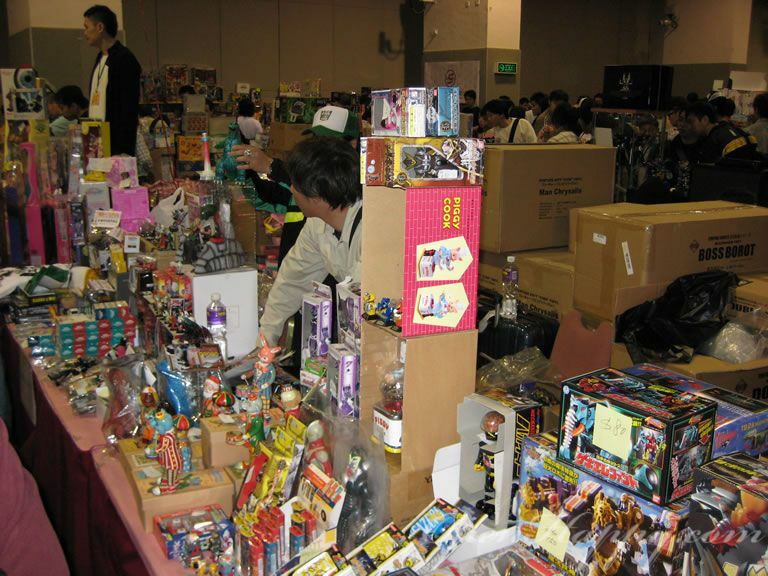 The site looks like a big warehouse with a few rows packed with toy sellers. I met a few guys on the bus who told me they have to come back 3 times on the same day since they maxed out what they can carry in a single trip. Thus, 3 trips are needed. Oh yes, since I have to buy stuffs (a lot of them :). I just bring along my little SD1000 to take pictures. 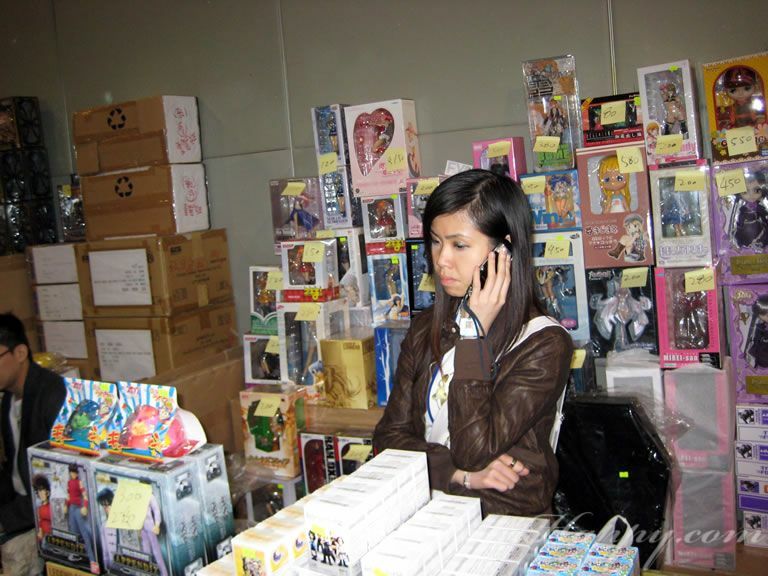 Hong Kong MostWanted is one of the few vendors (toy makers) who is in this festival. 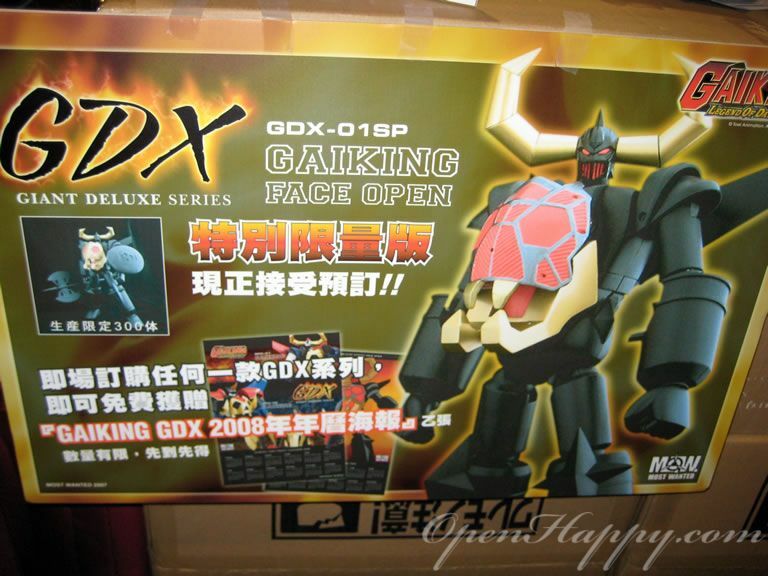 Here is their offical licensed Gaiking. 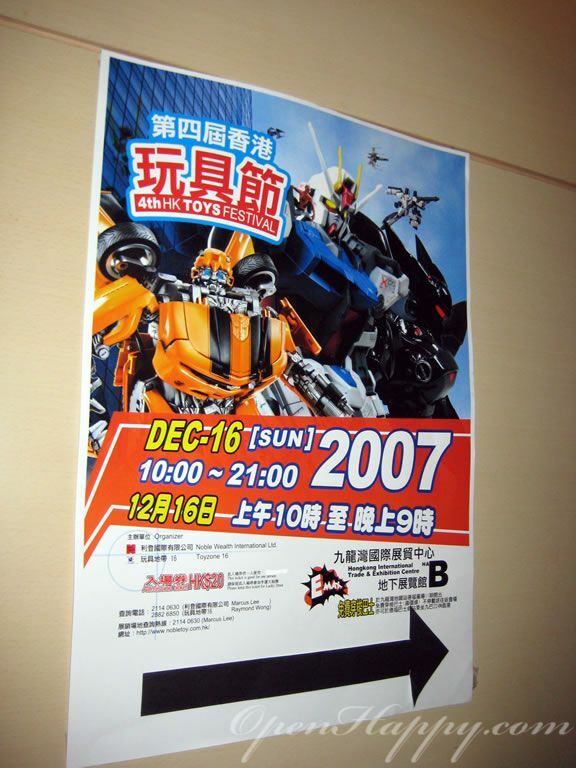 I actually pick up the huge PVC version of the left most Gaiking. Not 100% happy with it. 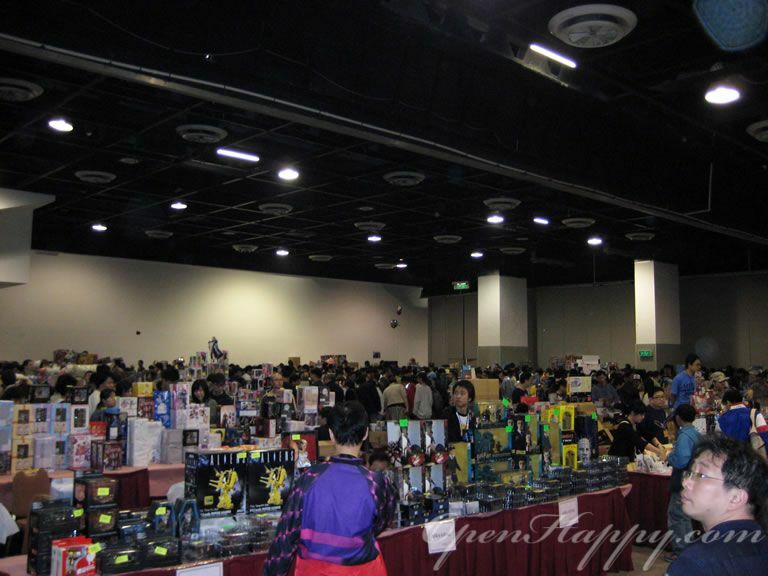 You can go to the hobby section to check it out. 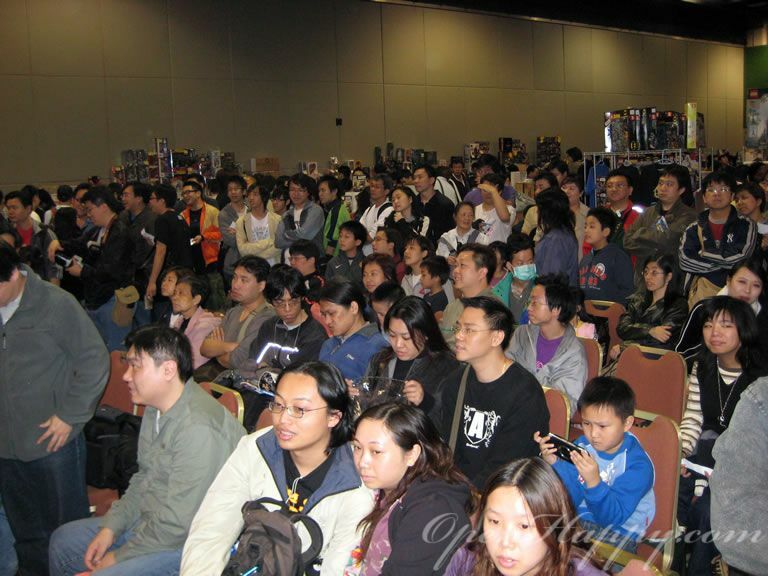 They did set up a stage in the middle section to hold some type of events. 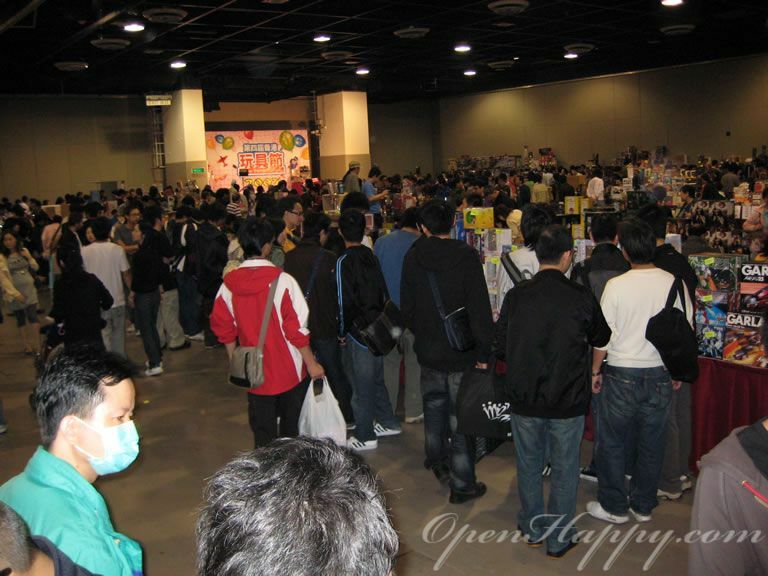 There were cosplayers dancing and a lucky draw. 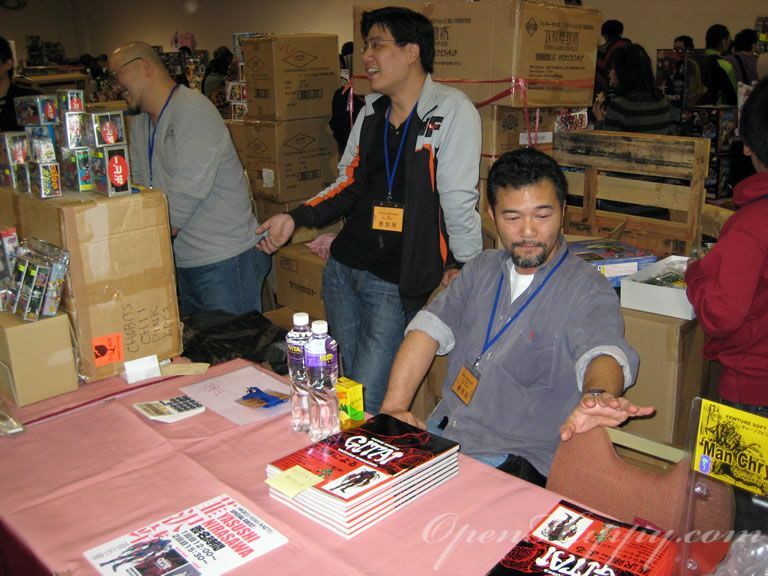 The guy below was announcing who is the winner, etc. 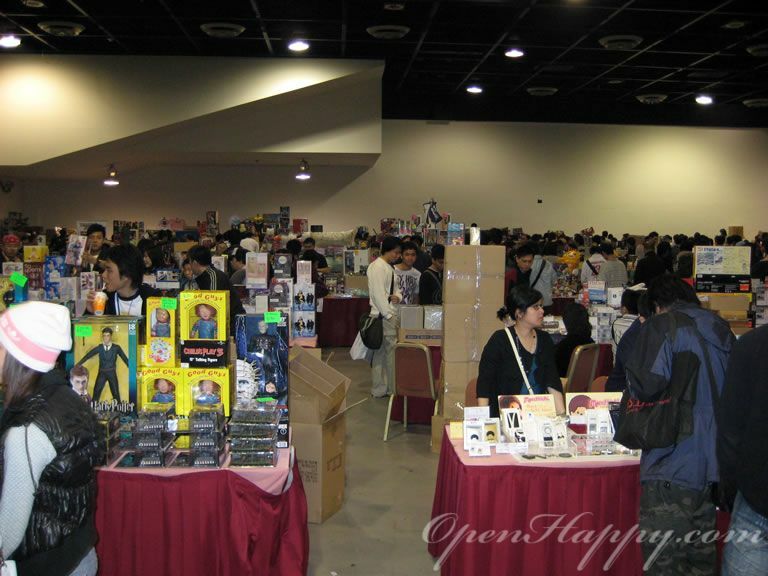 One thing I never understand is that they have a lucky draw among the sellers ... they have some much goodies (for sale) already, why give them more? 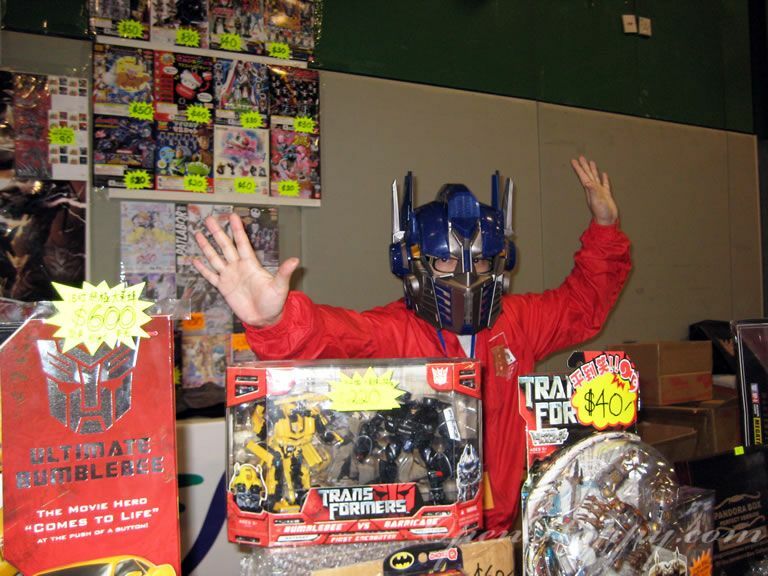 He is making a sale. 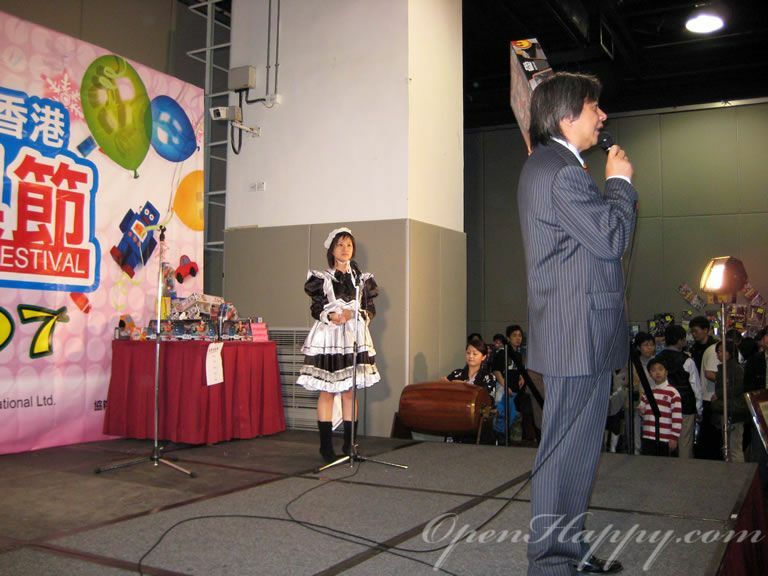 The dancing lucky stars cosplayers. 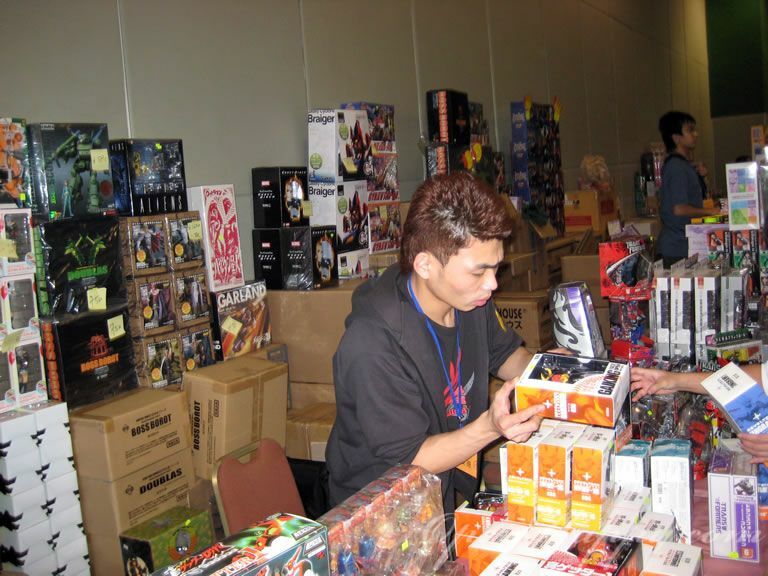 Here is an artist toy maker who paid for a table and show his own products. 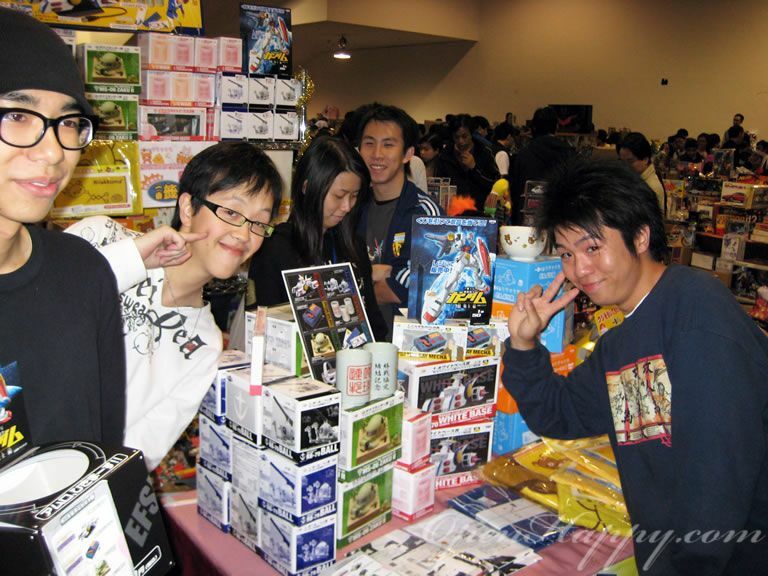 We talked for a little while at the end of the day and unfortunately, he did not even sell one piece. 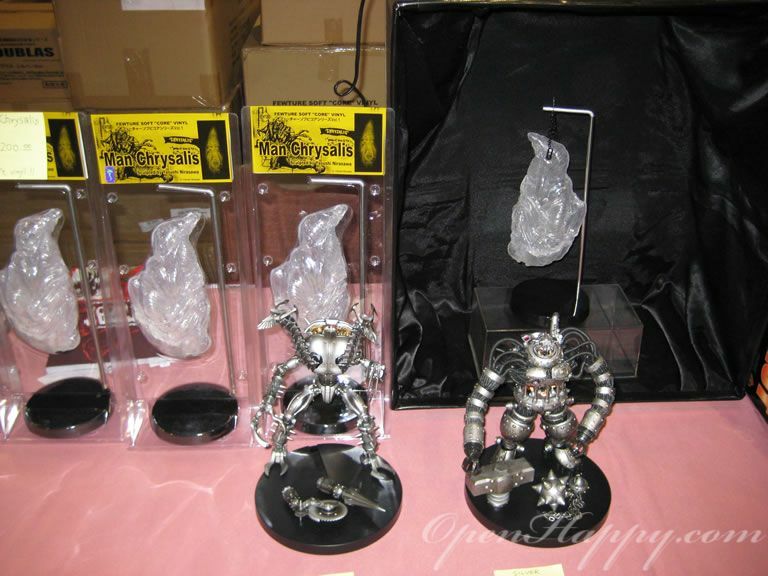 I was telling him to make the figures more stream with bigger chest, cuter face and longer legs, but he does prefer the more alternative/natural style. 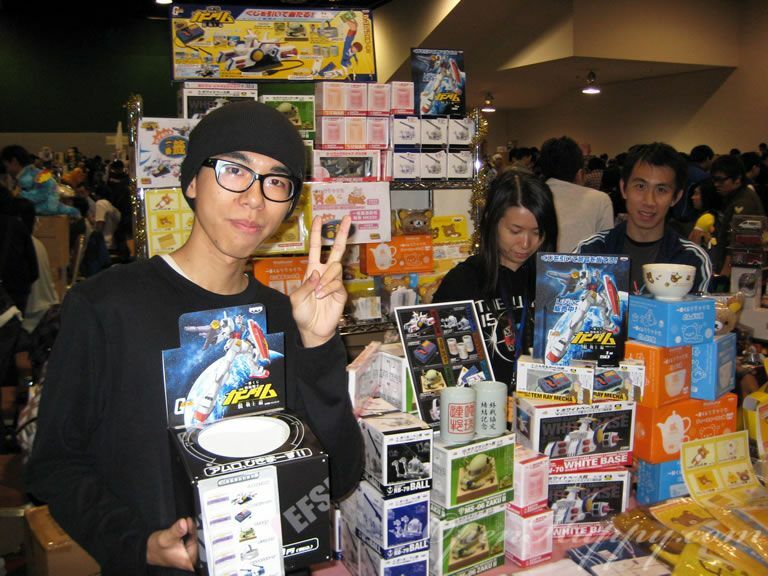 These are the japanese converence stores gundam goodies. 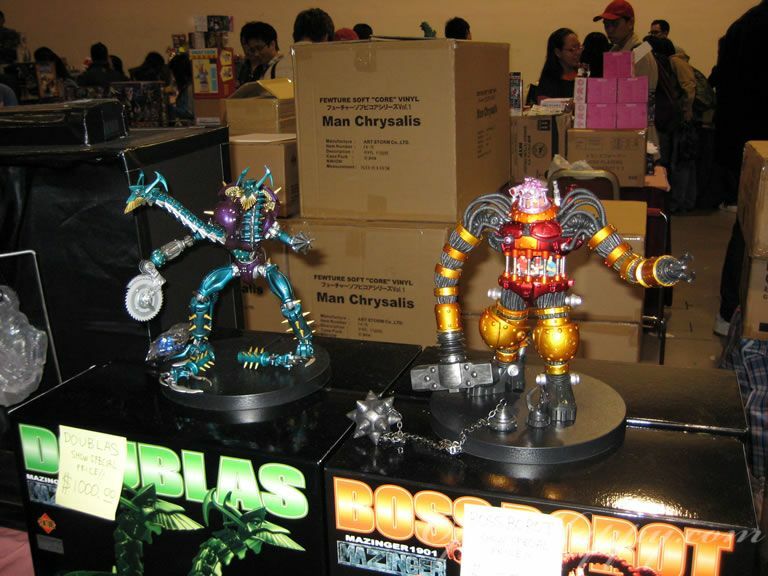 Transfomers are also big (which I never get into). 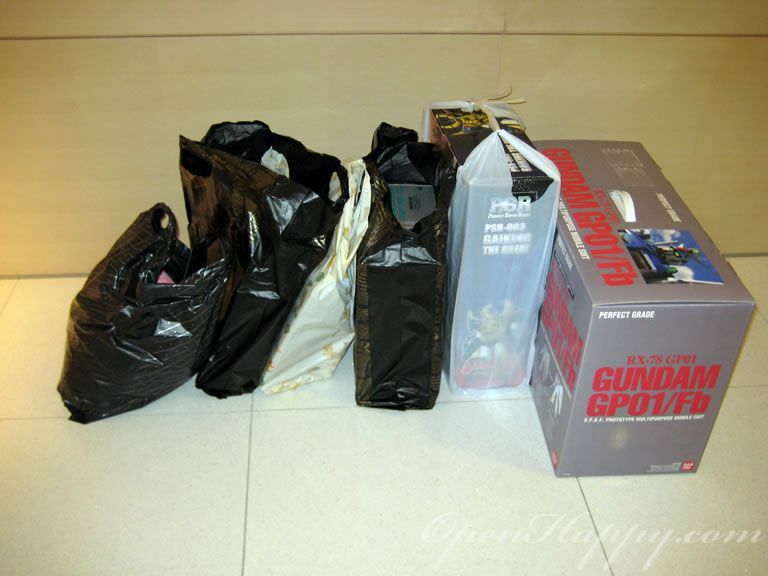 Yes, I bought a lot of stuffs. 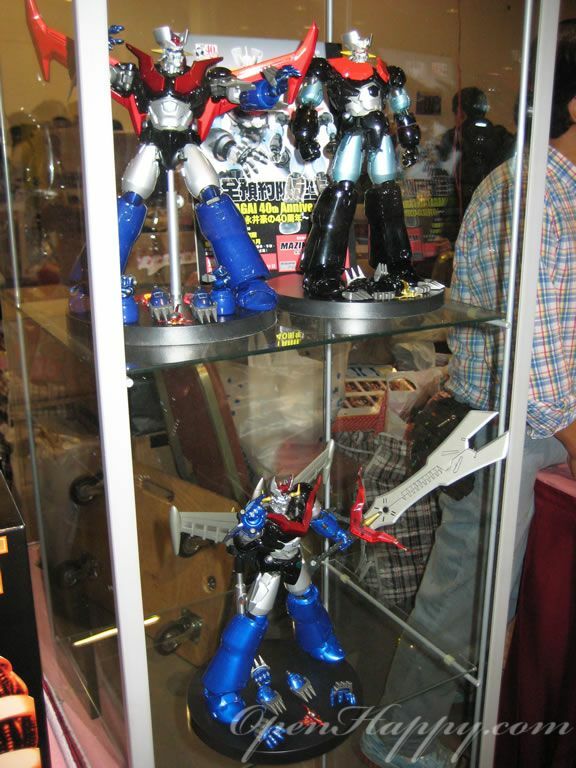 If you know how big the perfect grade GP 01 is (on the right), you know this is a lot of stuffs in terms of volume. But since you are surounded by Hong Kong otaku, the guy sit next to me in the bus actually help me out to carry down all of these to the MTR station.